There are 9308 posts in this topic. You are on page 179 of 187.
hi guys can you tell me whats wrong with this Left flipper flipper? Yes, it is the wrong type. Replace it. its dificult to replace? i just need the Bat or the hole mechanism? No, just the bat, and maybe the bushing, either way it's an easy fix. We can walk you through it if needed. 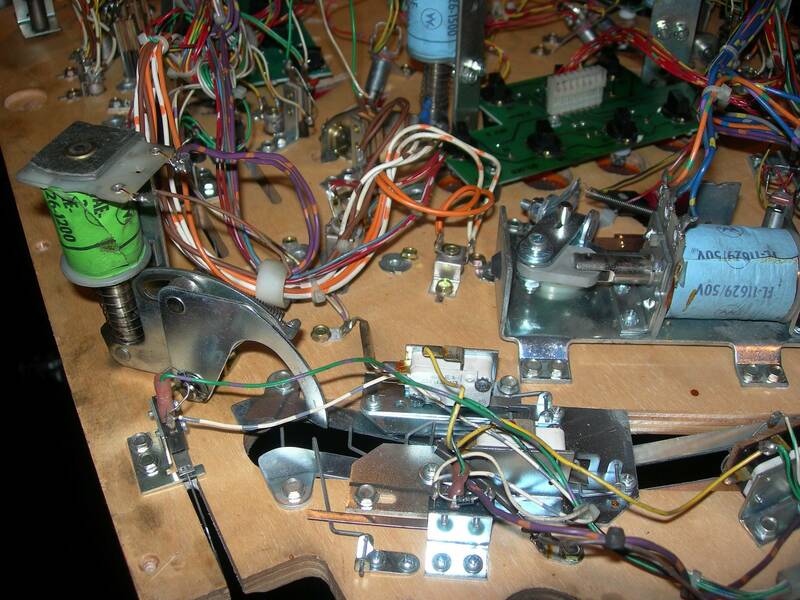 Edit: I suppose this depends on how well the flipper works but replacing the bat and bushing is easy. and a new paw probably just to be safe and a grade 8 hex head screw and nut. 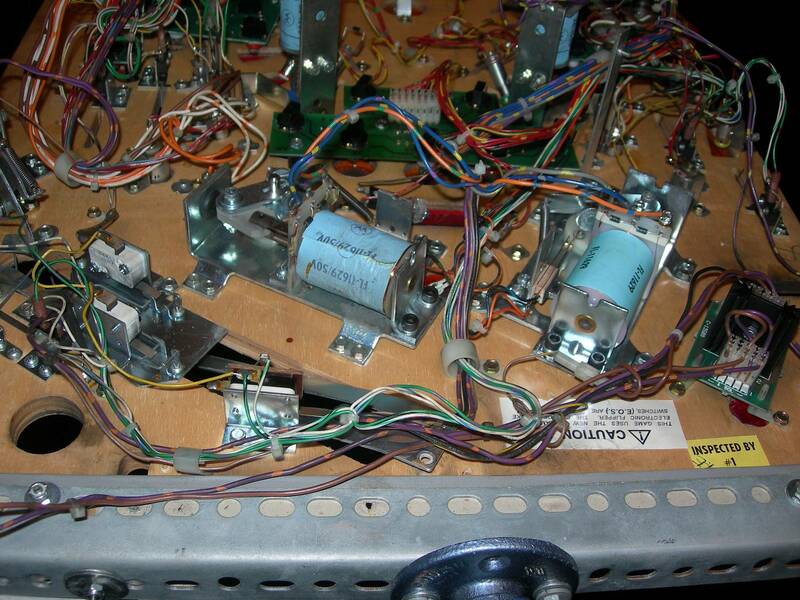 Could just pickup a flipper rebuild kit from PBL or Marco’s and do both right the first time for around $35. - Finally, you will need a good visual inspection of your brackets to make sure they are not broken, threads stripped, bolts missing etc. I ended up having to replace mine since one of them was broken. Looks like you actually have 3 different flippers there, a Williams white, Williams yellow and a no logo white. Clean em up, spray paint em and move that no logo one to the upper flipper and no one will probably ever notice! Complete nonsense. Do it right or don't do it at all. Yes it's judgement. I doubt the coil brackets need to be replaced but as Mr T mentioned, if you do a rebuild (coils, sleeves, springs..) you'll probably never touch them again in a home setting. I replaced mine with black W logo bats this year but did a complete rebuild about 5 years ago (everything except the brackets). Edit: replaced them in 2018, lol! Yeah, from the looks of it I would say your game has a lot of potential. Needs a really good cleaning and new glass, but then again depends on what you want out of it. If you just want to play it for awhile and move on, then spend a few bucks to getting playing right. If it's a keeper for you, then definitely worth putting some money in it, some TLC, and some elbow grease getting everything cleaned and polished. Lol, I wasn't exactly being serious. I've just picked up another Getaway that's been sitting in a warehouse for the last twenty years. It looks like it was vandalized then put into storage. 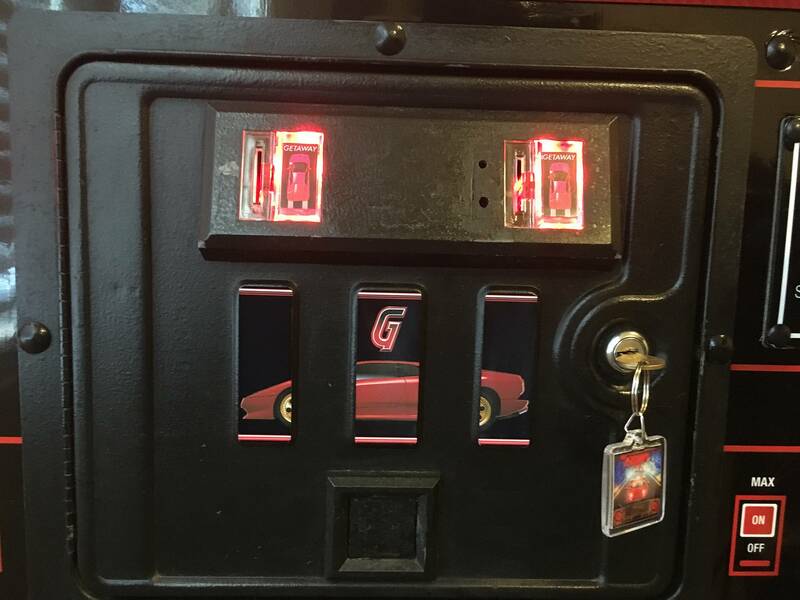 The coin door was broken off, and the right decal on the cabinet has been ripped off. 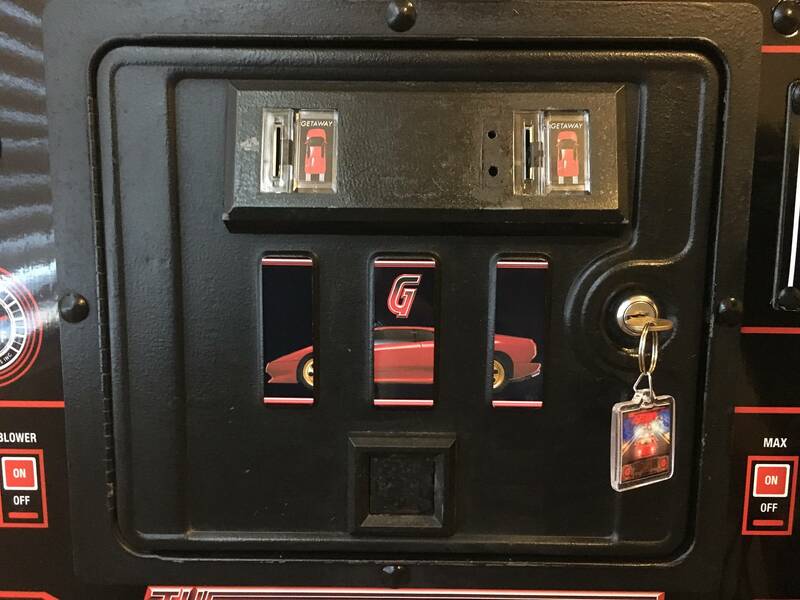 Any chance anyone has just the right side cabinet decal they'd be interested in selling? Dang... I have a spare "left side"... the good quality type. If anybody is looking for the left side, just lower cabinet, let me know. If you are interested in getting one printed, I have a guy. Just PM me. 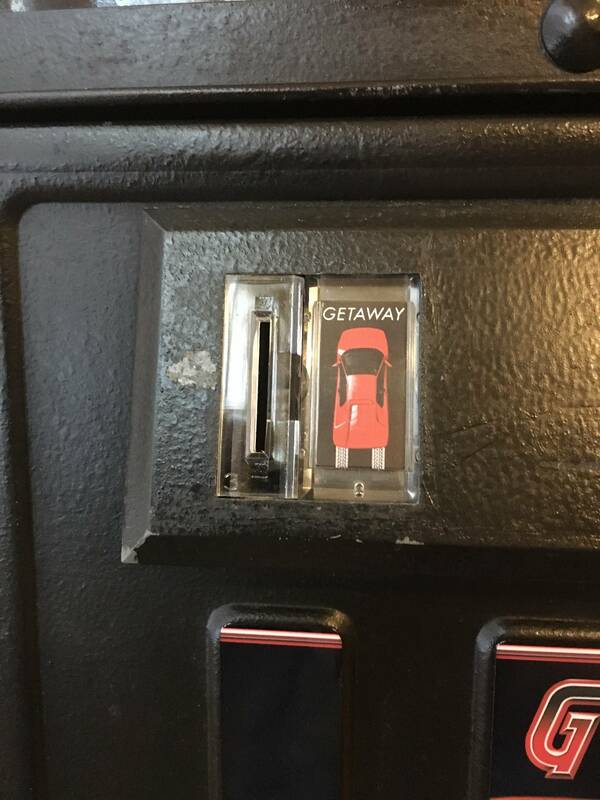 So, do both right flippers on your Getaway operate simultaneously, or do the separate stacked flipper switches operate them individually ? 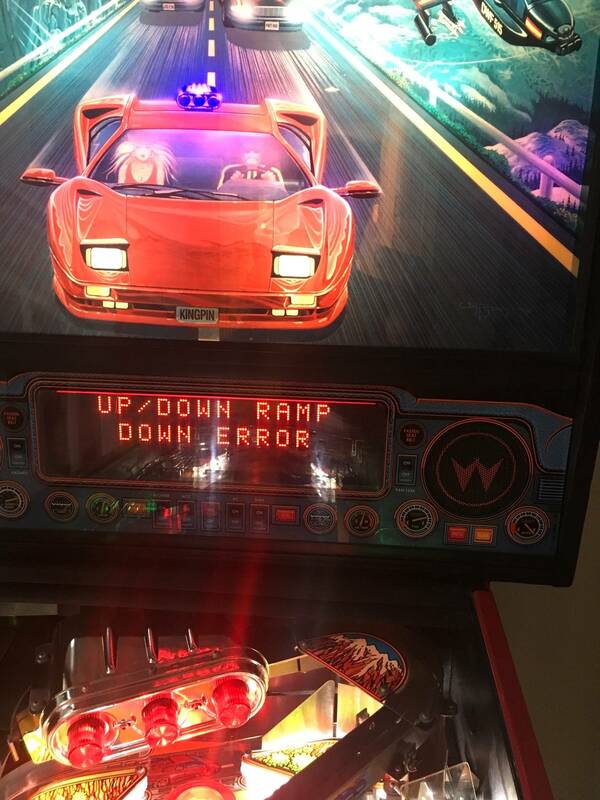 My machine is running ROM L1, and even if I just close the first flipper switch both the upper and lower flippers are powered immediately. 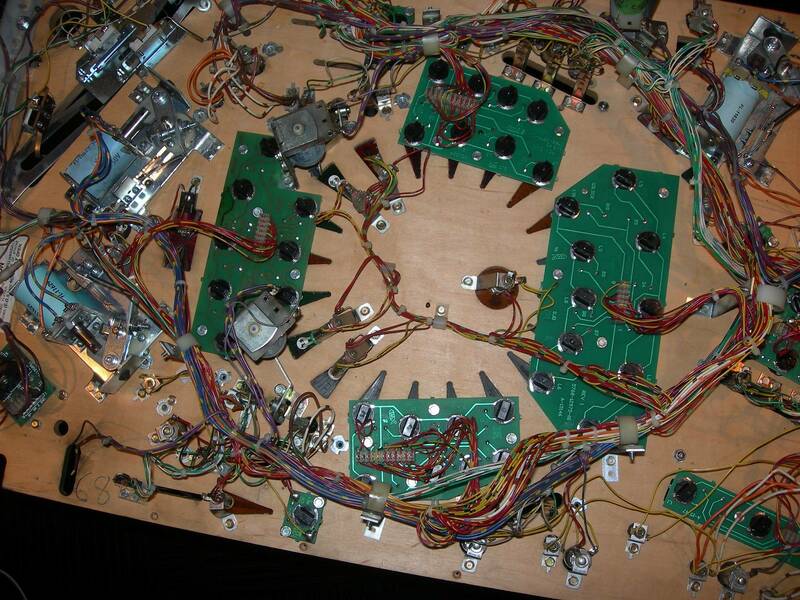 The strange thing is the wiring is all there for individual operation, but the playfield power wiring from the fliptronics board to the flipper coils seems jumpered together somewhere, so I don't see how a ROM change could enable 2 staged operation. 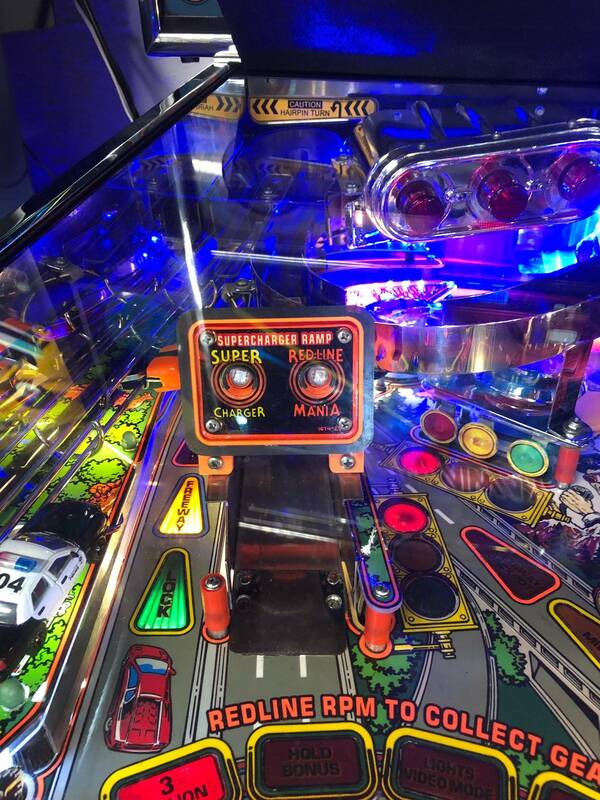 2 state flippers are available with L5 (I don't know details of leaf switch requirement, but it has been discussed here before and others can provide details if needed), but with L1 & L2 both right flippers are activated with the press of the right button. 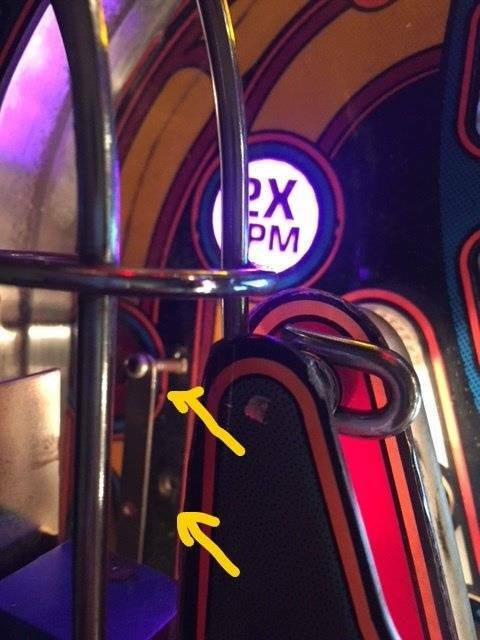 I've noticed that the circle of triangulated inserts on the lower playfield containing RPM, Redline, and X Values, are not rotating round and round when in attract mode. They do fine and rotate when in normal game play. They are all led's. Thoughts? In the machine settings you have PHOTO MODE set to ON. Getaway was the only Rom with this setting. 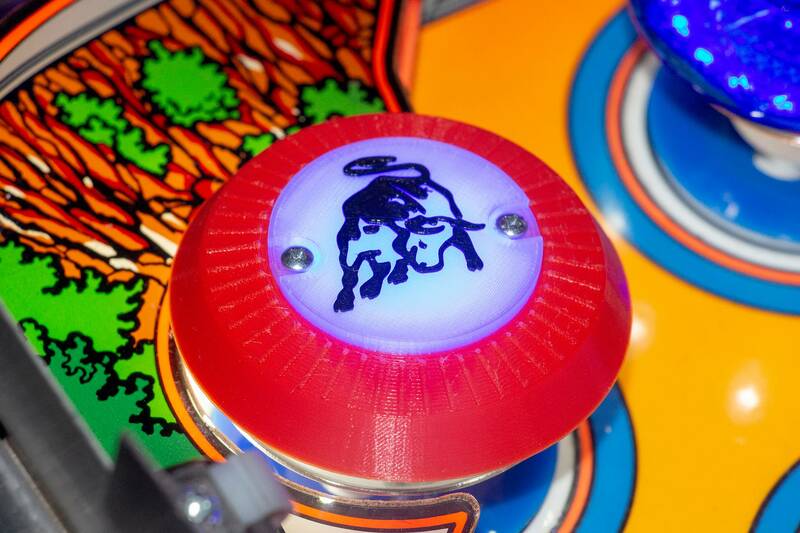 It turns ON EVERY Playfield light and LEAVES them ON for Attract mode. 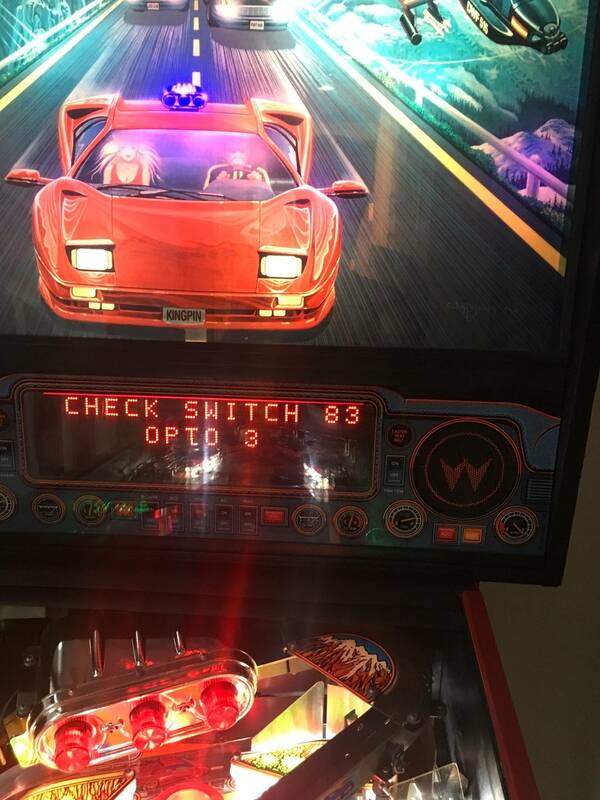 FYI to anyone that may have a similar issue: I had lost the rev feature when ball was in the shooter lane and hitting a flipper to rev the RPM lights. Sure enough quick testing found I had two flaky switches in the right outer loop. 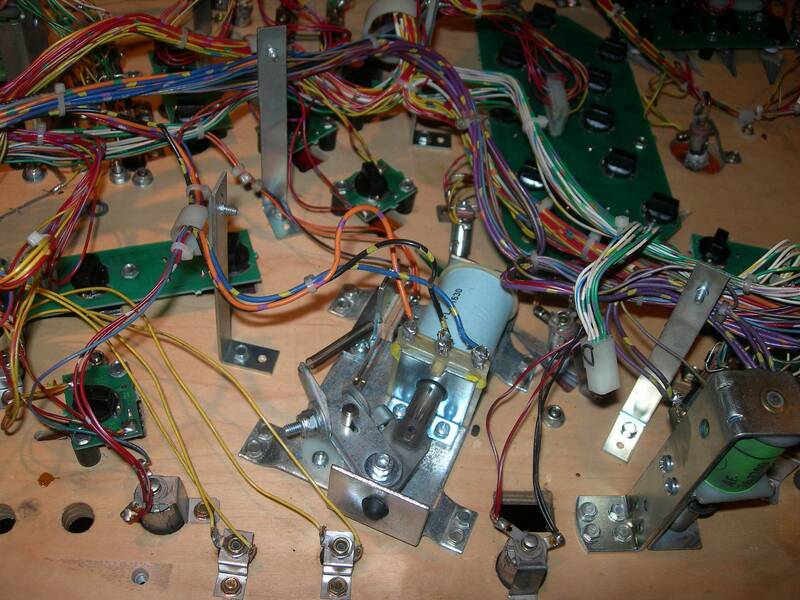 And that's why you should always replace all your switches when doing playfield swaps! FWIW, they had worked fine for a good 2+ years after the swap. I'm trying to read power output from the power board, and it's a bit of a crowded mess, but I finally figured out where the 50VDC test points are. 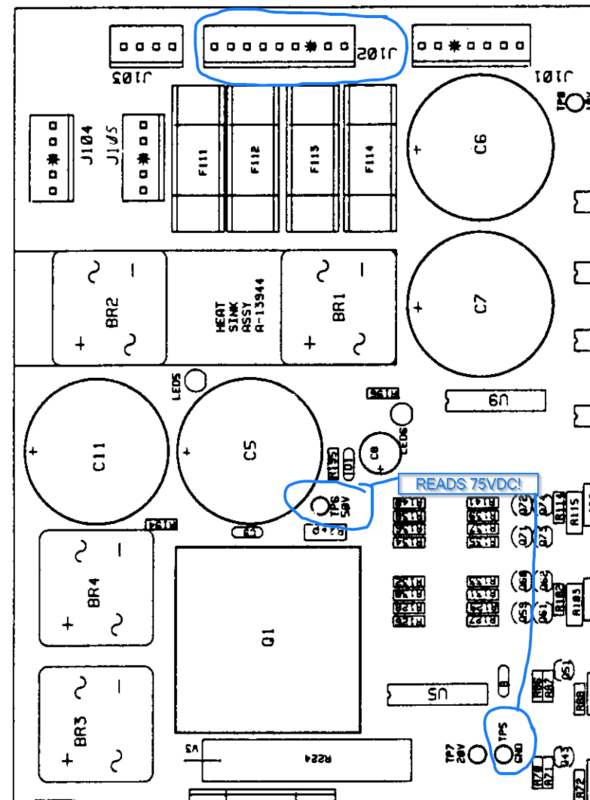 Bad news, I'm reading 75VDC across the 50V test point and test point ground. 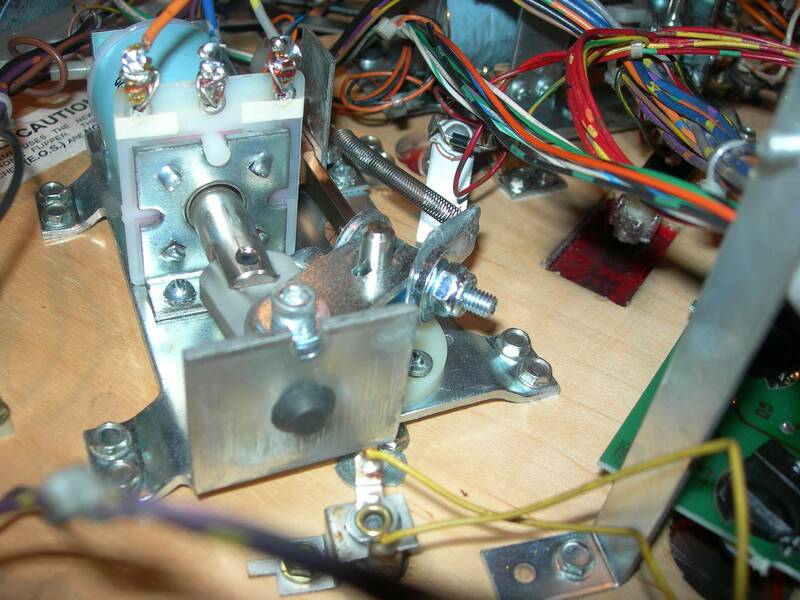 Further up the circuit the way I read it, looks like potentially the bridge rectifier is the next step in testing. Reason I'm doing this is the supercharger accelerator board's not working and I'm getting ~ 75 VDC across J7. I'd love to hear suggestions! 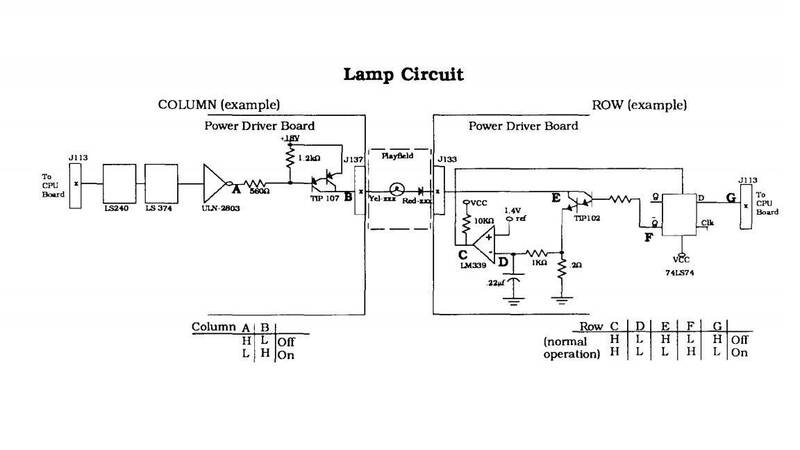 Bad news, I'm reading 75VDC across the 50V test point and test point ground. Should be joining the club again real soon, well in a couple of months. 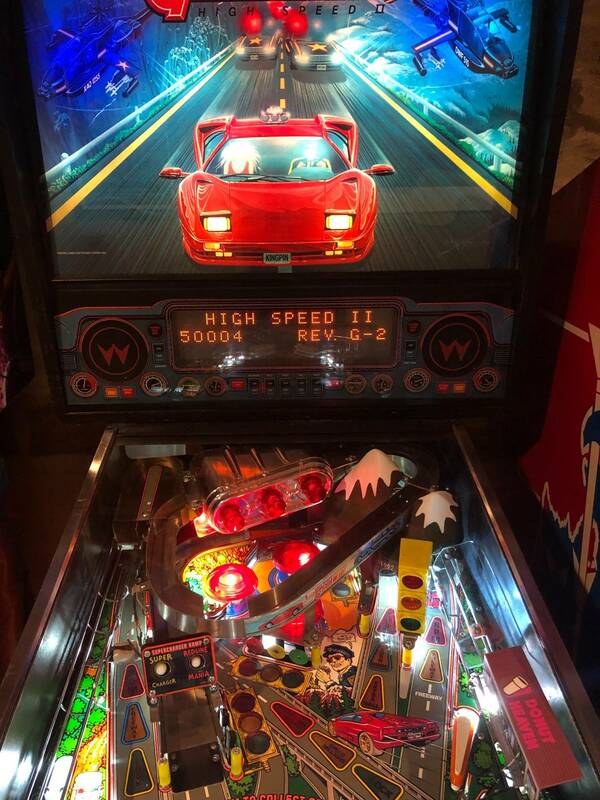 I have owned about 4 HS2's in my collecting time and always regret it after it goes. The burden of limited space. This time around I am doing things a little different I am going to build a HS2 from parts. 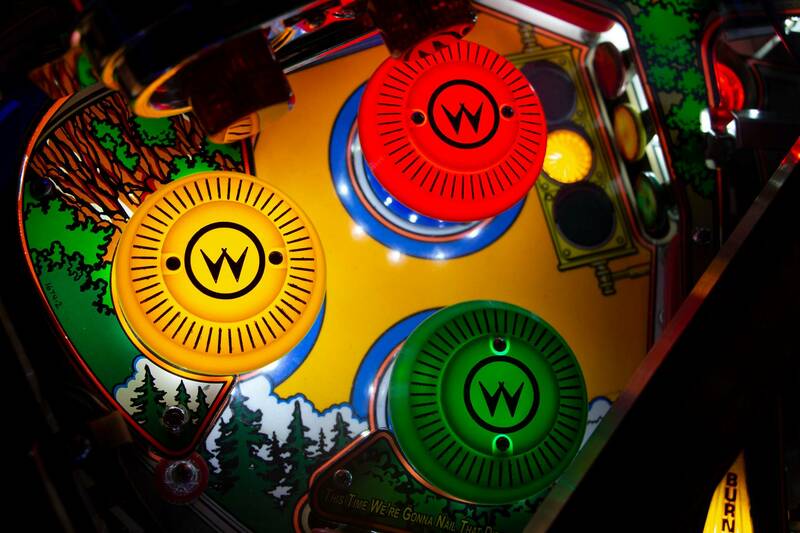 The LAH will be the donor cabinet, same sized playfield etc and like the modern twist on the light box topper. 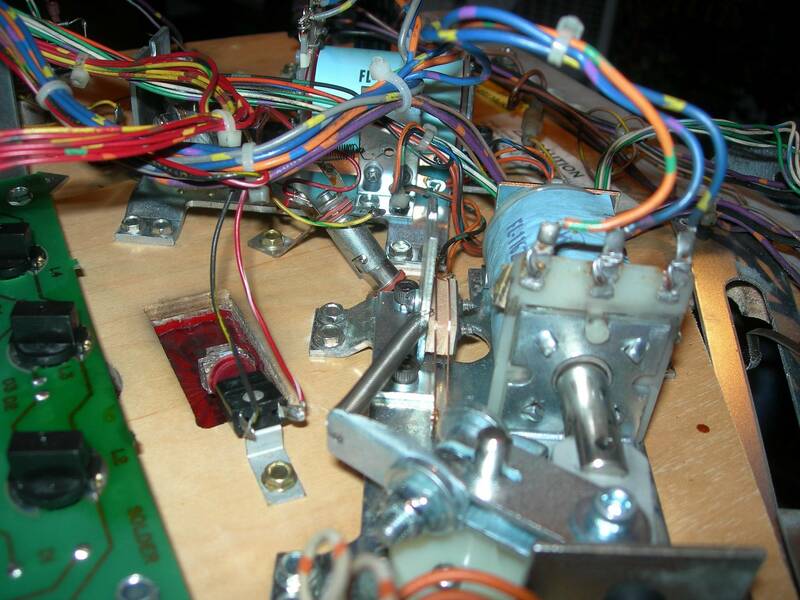 Have a full set of boards spare, bought a fairly rough playfield that I am currently doing up. Have all the ramps, wireforms and lane guides etc. wish me luck, yes even the purists.. I will need it. Now THAT'S a project. Best of luck and keep us informed. Hey guys, I'm experiencing my first supercharger issue. Yesterday everything worked fine, but today I have problems. The diverter is staying closed, so my ball won't enter the SC. it still gives me points for hitting the SC, but it won't actually enter the SC. On my test report, it notes to check switches 81-85 (optos 1-3, enter left ramp, opto made loop). It then says that opto 1 is stuck open, opto 2 is stuck open, opto 3 is stuck open, and there is a diverter error. When I do a solenoid test, the diverter high opens the SC and it snaps back immediately. When I test the "diverter low", nothing happens. 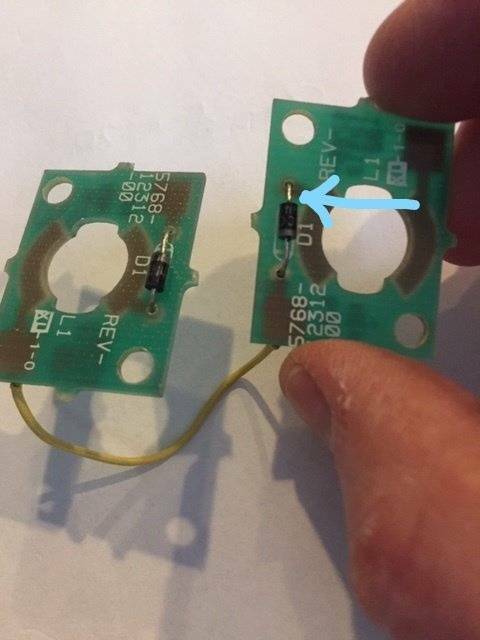 Do I just have a dead solenoid? Would that cause the opto issues? 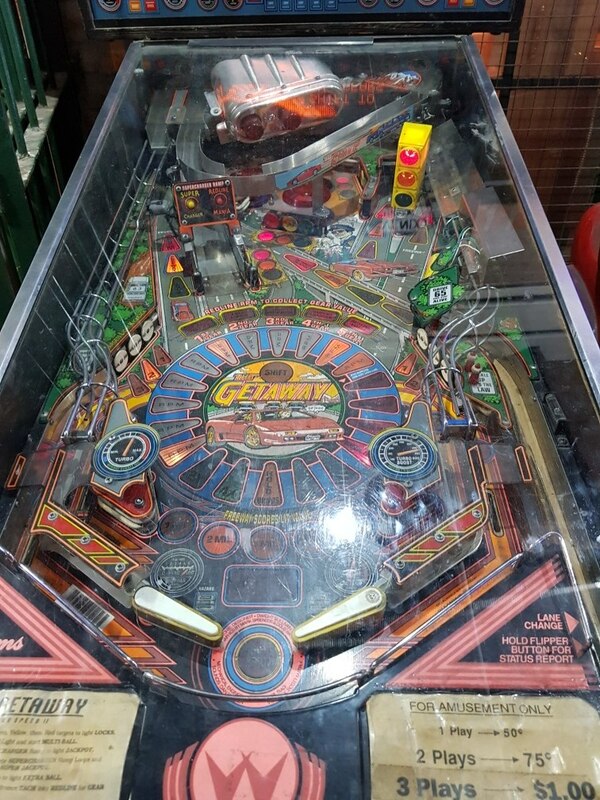 Sounds a lot like what mine is doing - check voltage levels on J7 on your accelerator board, under the playfield, near the bottom. 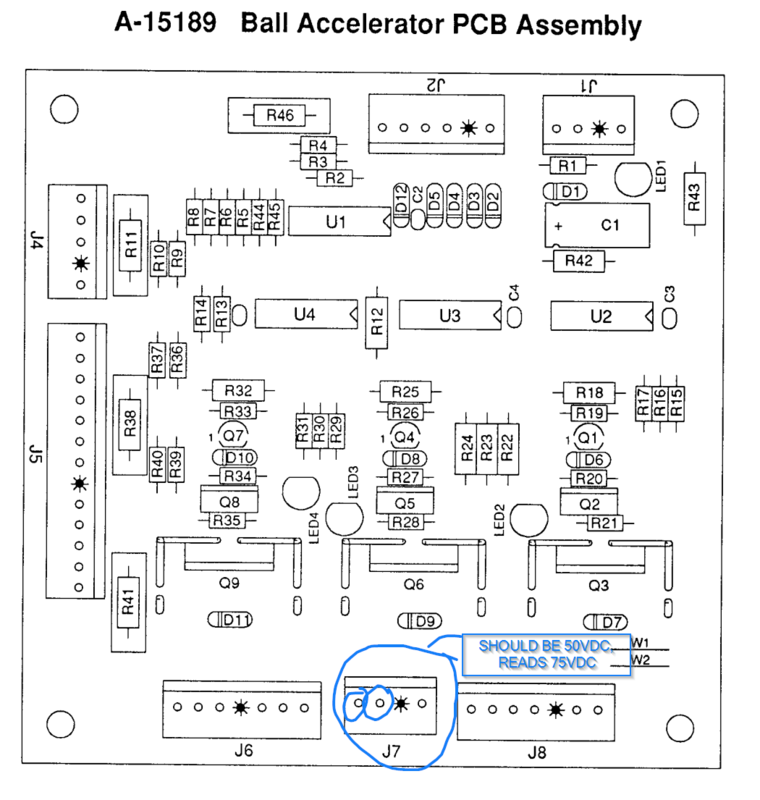 If the opto on the accelerator entry ramp (left ramp opto) does not detect the ball then the diverter won't know when to open to feed the accelerator. 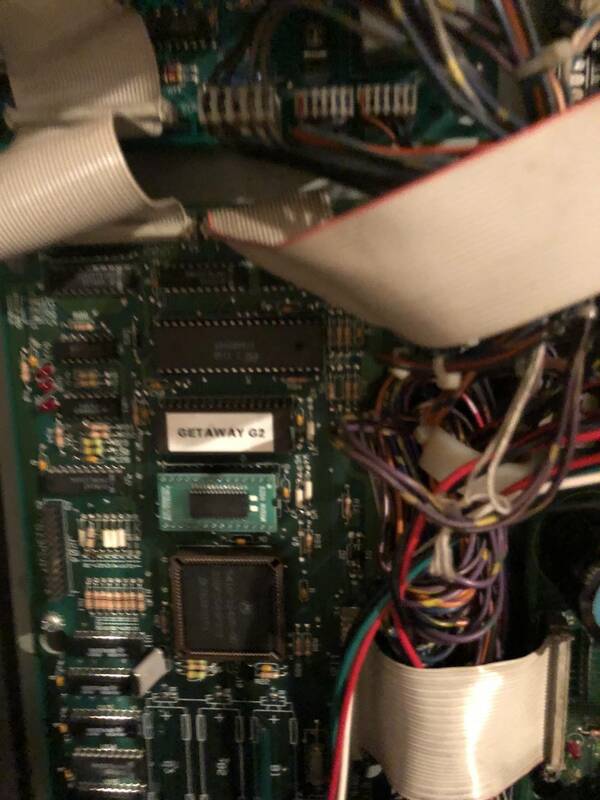 You might just have a faulty opto, with the other error messages it is more likely that you have a faulty opto board or the 12V supply missing from the opto board. The 12V comes from a header bottom left of power driver board, just measure it on the opto board to see if present. 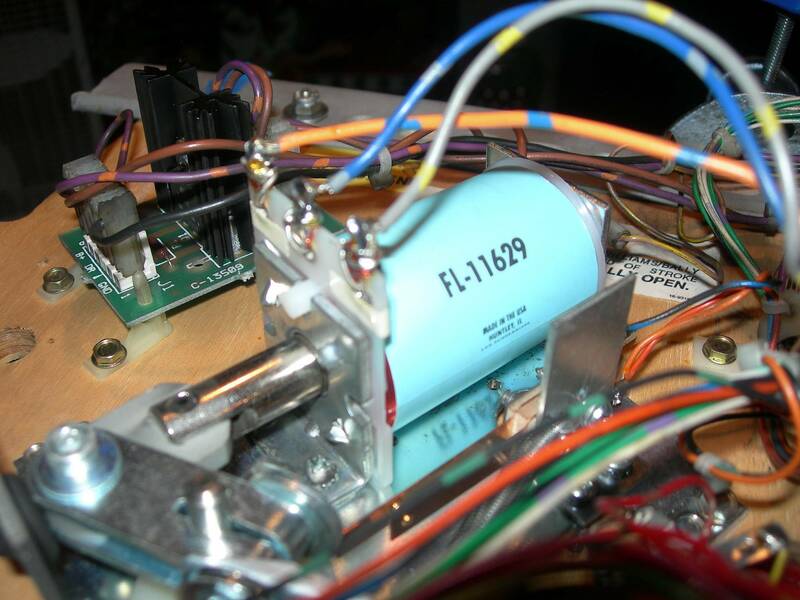 Yes - it's J118 (which supplies accelerator -J7- and opto board), lower-left of power driver board. As grumpy explained to me, it's unregulated power so mine was a little higher than 13VDC. I’ve been getting supercharger sounds when flipping in game but I can’t seem to recreate it on switch test. Any ideas? Haven’t torn the charger apart yet but wanted to rule other things out first. In test mode it's fine, and I checked the big switch which is perfectly adjusted, whatelse could I check? thanks. Have you made any progress on this? I'm having the same issue and I'm on rom L-5. Everything tests out with no issues in test mode on mine. Did you take a look at my situation/resolution? Apologies for being away for so long. Life got in the way. Weird that I come back after being away for so long wanting to discuss a supercharger issue, and red-line is having a similar problem. Played today and got an insane score, almost 500M; way more that what I’m capable of. So there was s some scoring issue happening. That and when the ball goes in the supercharger it’s going very slow around, and sometimes the diverted gate won’t open even when the light is flashing. So I haven’t done any testing yet of optos or anything. Just wanted to say Hi and present this problem to the group. Thanks for the help. Appolgies for being away for so long. Life got in the way. Weird that come back after being away for so long wanting to discuss a supercharger issue, and red-line is having a similar problem. 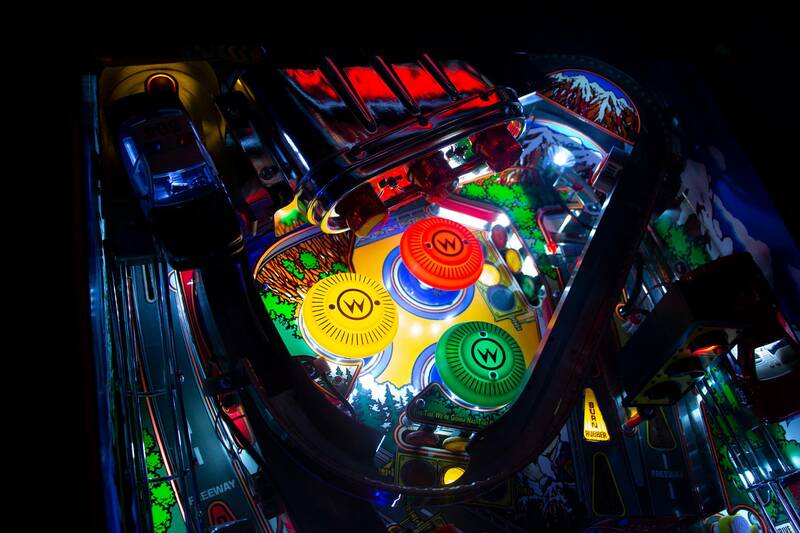 Hey Charger, life seems to be getting in the way of pinball for many of us recently. Good to hear from you, Mr. T! Work has been very busy, recovering from a broken foot and heart issues, and I recently got back into listening to vinyl. 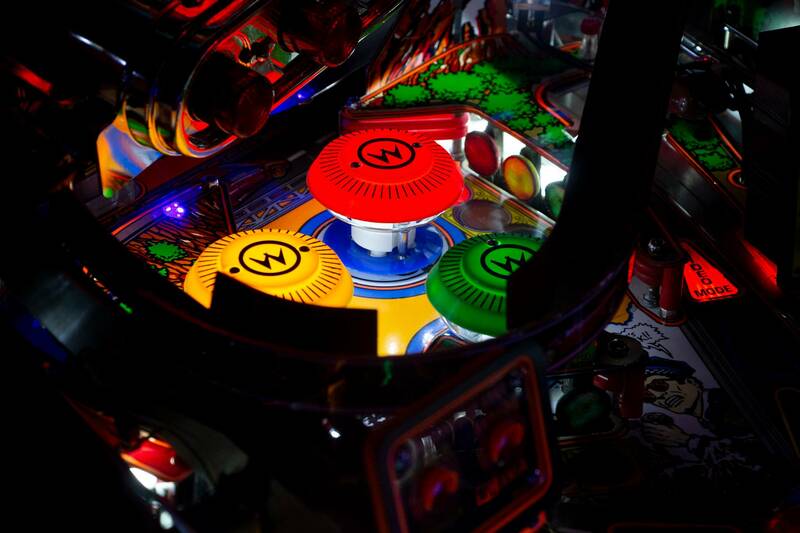 Never quit on pinball; in an underground league that plays every two or three weeks. 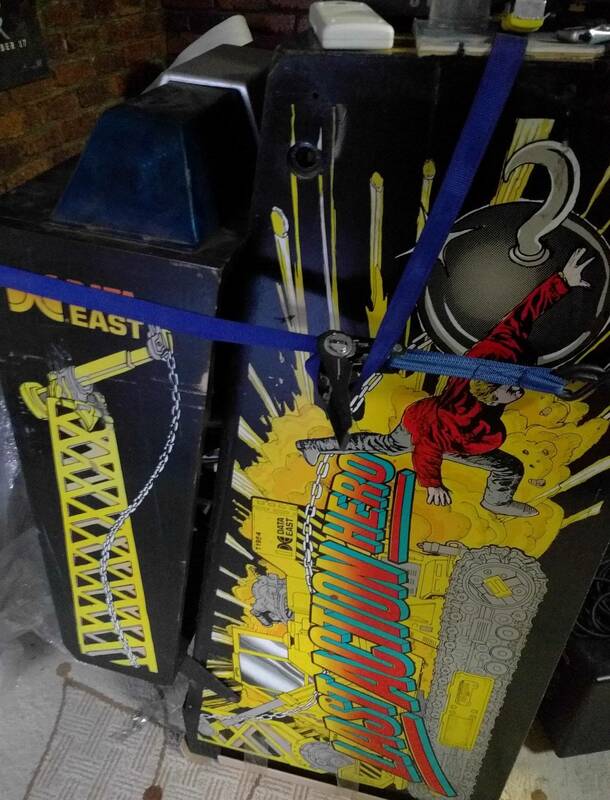 Just waxed the playfield last week. It’s played fine for a long time. I need to do some troubleshooting and try and figure this out. 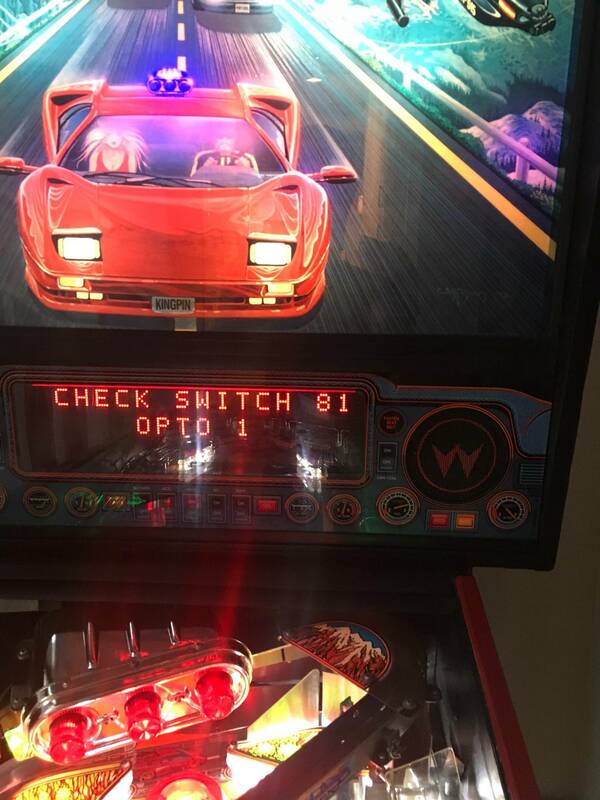 Weird, but I ran through switch tests, diode tests, and supercharger test, start a game with the glass off and light everything up, and it’s all good now. Plays like it should. Odd. Reset the HSTD and it’s back to normal. Thank Mr Tantrum for making the supercharger sign! Looks much better that stock in my opinion. Good stuff. You're going a bit over my head here? What do you mean by unregulated power? I have been out of the country but will be able to measure this tonight. I own a voltmeter but haven't really figured out how to use it. Any tips are appreciated. After giving it some thought, I realized the only thing that changed between when the SC worked, and when it didn't. I unknowingly flipped the breaker that the pin is plugged into (well...it's plugged into a surge protector that's plugged into this outlet). Would this have cause the issue you're discussing? 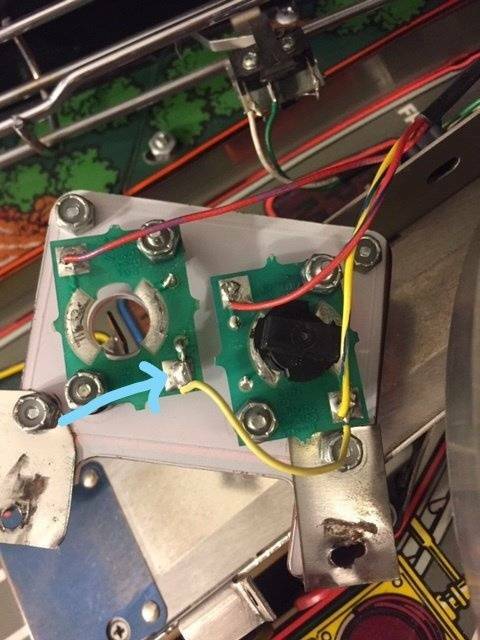 The voltage source in the game is regulated or not. Regulated means it's processed so the output voltage will remain the same all the time... if input voltage drops, it stays constant, is cleaner, etc. Unregulated are usually just from a transformer meaning any mess on the input side usually passes through to the output side, or greater load can pull the voltage down, etc. So in effect, they are just more sloppy.. So you've been thinking about old style pop caps? Think no more as I have a solution! 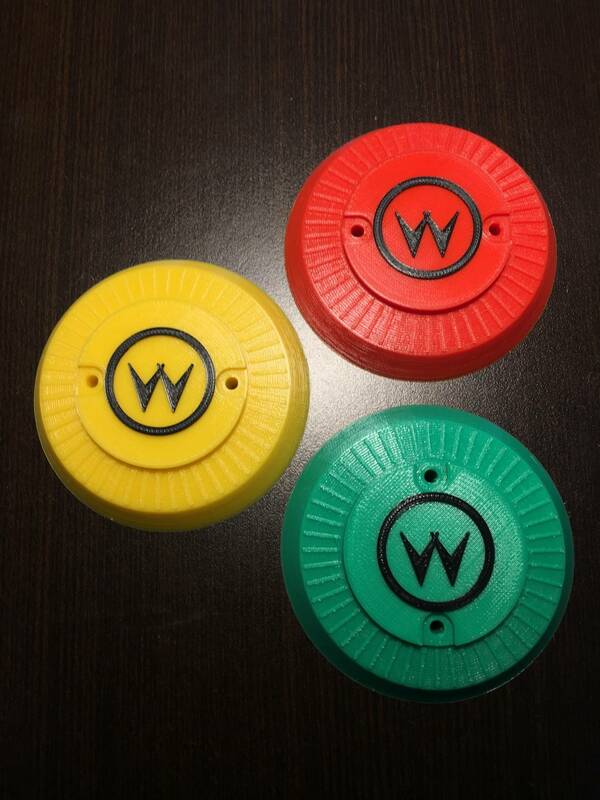 Check out my newly designed & 3D printed multi-color old style Williams pop bumper caps. 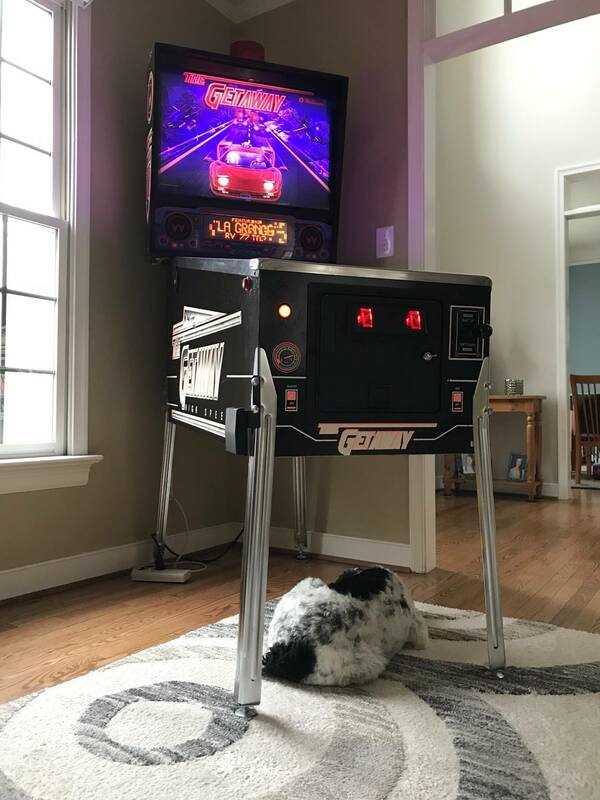 These are pictured with the same colored PBL BriteCaps EVO Pop Bumper Lighting featured here (I do think all white lamps would also work instead of matching the light color to the cap): https://www.pinballlife.com/britecaps-evo-pop-bumper-lighting.html (set to the mode where both rings are always lit), but you could use any lighting you wish (LED is preferred due to lower temps). Anyway, I'm offering a multi-colored set of the custom caps or 3 of the same color to anyone interested for $30 shipped to continental US. I can also customize to a variety of colors, multiple colors in a single cap, and even modify/customize the logo on top. Just PM me if interested, and we can discuss all the details. 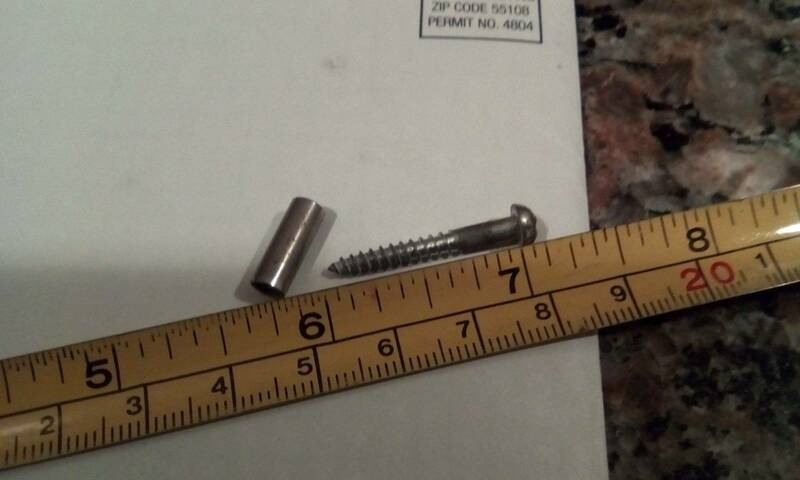 FYI, these taller caps do require longer screws which are not included. I don't recall if my Getaway came with the longer ones or not since I've pretty much replaced all of my old rusted hardware with new. Here they are hot of the printer before I painted the ticks. And here they are installed. So you've been thinking about old style pop caps? Think no more as I have a solution! Check out my newly designed &amp; 3D printed multi-color old style Williams pop bumper caps. 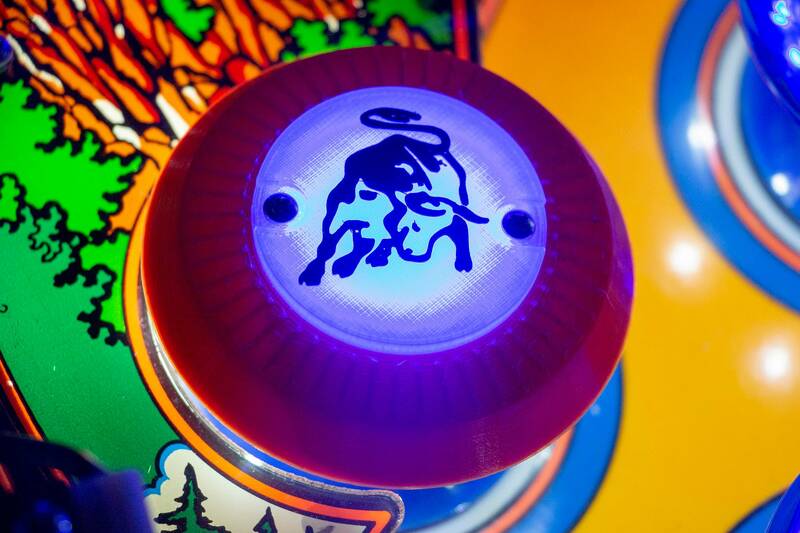 These are pictured with the PBL BriteCaps EVO Pop Bumper Lighting featured here: https://www.pinballlife.com/britecaps-evo-pop-bumper-lighting.html (set to the mode where both rings are always lit), but you could use any lighting you wish (LED is preferred due to lower temps). Anyway, I'm offering a multi-colored set of the custom caps or 3 of the same color to anyone interested for $25 shipped to continental US. Just PM me if interested. Looks great, do you have blue. Nice work as usual Mr T.
I can make in any color as long as they make the filament - all different shades of blue are available. 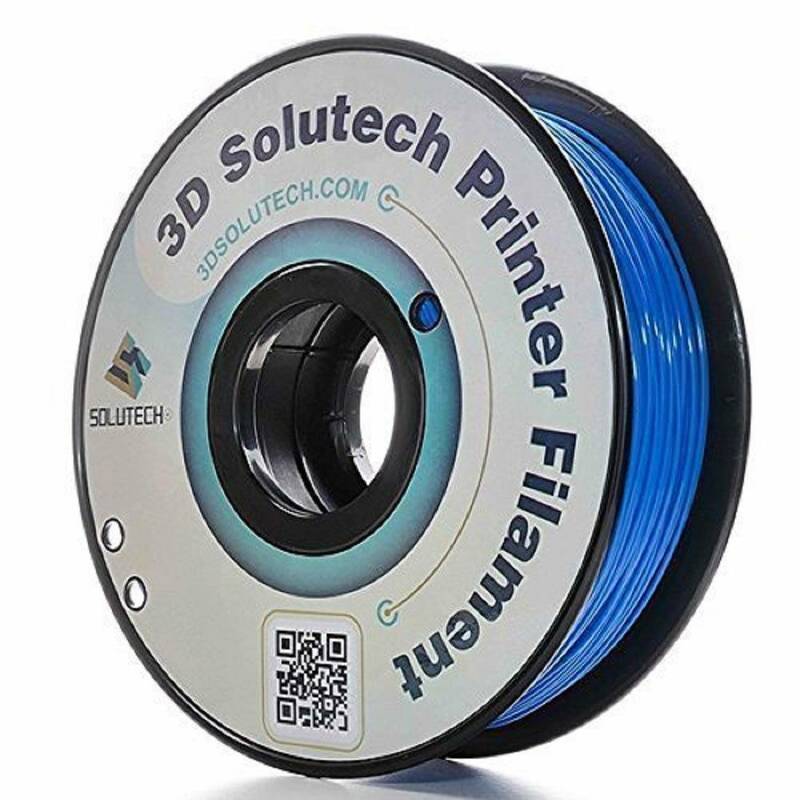 Here is my preferred filament brand, so for blue this would probably be what I went with if anyone was committed to it (I would need to buy the filament since I don't currently have any blue). A couple of ideas I have not experimented with are semi-transparent colors and multi-colored caps (the skirt could be one color and the upper part another). I can also customize the logo to just about anything that would fit on top of the cap and do it in any color. As a FYI, these are a multi color print in that the logo is printed directly on the top of the cap in black filament. However, the tick marks are actually hand painted. It takes about 3 hours to print each cap plus paint time. Okay, here are a few concepts thrown together to give an idea of the customization that is possible with 3D layer printing. In this case, I started with a red apron, transitioned to a clear transparent top (FYI, layer printers can never really print true clear, but it will be translucent), and then to a custom black logo (FYI, I didn't take the time to paint the tick marks on this one). Also, I currently have blue pop LED's which isn't the best for illuminating red, but I think it conveys the idea. 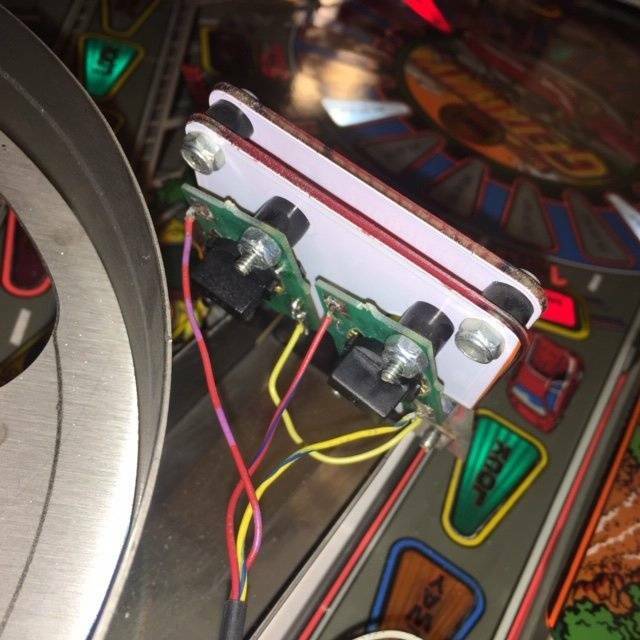 Rebuilding my flippers on Getaway this weekend - can anyone post some pictures of the 3 flipper assemblies so I see them done right? The machine I got had the coils cut off along with other issues just want to compare how a good one should look. Just waking up, but I will get it done for you today. Of course you are making a great assumption that I knew what the heck I was doing when I rebuilt all of mine. Well, in light of the other great Getaway owners’ postings, I don’t think I have anything to add at this point. Let me know if you need anything else specific, and I am happy to help.